School is out, you’re off from work and it’s time to go on vacation! You’ve been planning this trip for a while, and everyone is excited. 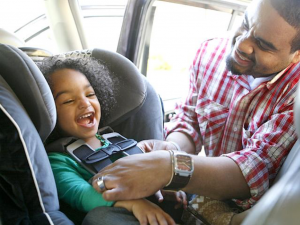 Before you hit the road, though, there are a few things you need to do to stay safe on your family vacation. Tires. To make sure that you will stay safe on your family vacation. Do not drive with bald or deflated tires. Some gas stations have self-serve air machines in their parking lots, which allow you to easily and cheaply refill your tires. The price for air varies depending on the location and company, but it usually costs a dollar or less. Oil. 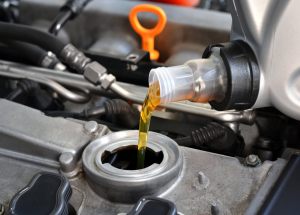 Check and change your oil before you leave town. 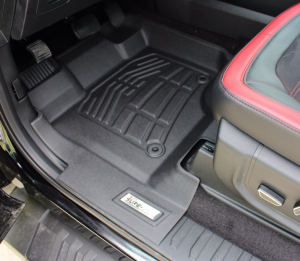 Consider storing extra in your trunk in case you spring a leak. Gas. Fill up the tank the day before or day of your trip. While traveling, don’t let your tank drop below half full, especially on unfamiliar roads to stay safe on your family vacation.. If you’re going to be renting a car, it’s also very important to check with the rental agency to see how the car has been prepared for the journey, how new it is, how the tires are, and when it was last inspected. So your car’s taken care of — how about your stuff? When you pack the car, make sure the items you’ll need first or frequently are accessible. For example, you don’t want to put the snacks and water in the trunk beneath your luggage. Instead, the snacks should ride with the people, and everyone should have a water bottle by their seat. Additional things to have handy are entertainment (audiobooks, movies, podcasts, music, etc) and things to play them on, maps or navigation tools, phones with emergency numbers, earbuds or earplugs, cash, and any papers, tickets, car registration and identification. The safety of your family is the top priority on any car trip. To stay safe on your family vacation, your children (human or pets) should be properly secured. Little ones should be in appropriate car seats. If you’re bringing animals along, they should be in crates or harnesses. Everyone needs to buckle up. Not all accidents can be prevented, but a little bit of preparation can make your vacation safer. So, with these tips in mind on how to stay safe on your family vacation, have fun! Sit back and enjoy the moment, as you head off to make new memories with the people you love most.